We had this on VHS! I remember being scared by a few of the scenes the first couple of times I watched it. Now, I want to watch it again. It’s been years! I love the historical fiction take on this Cinderella-inspired story. I remember being fascinated by France and French history after watching this. Drew Barrymore is beautiful! 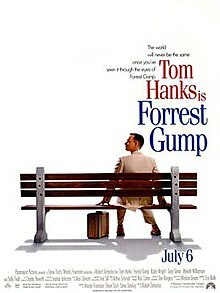 I love the love Forrest has for Jenny throughout this gem of a movie. 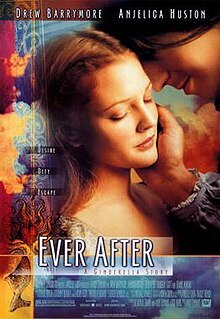 This movie is my all-time favorite. If it’s on TV, I watch it. I first watched it in middle school, when it was broadcast on ABC that Saturday night when I was babysitting. I was so enthralled with the movie, I barely moved until it was over. I can’t believe it’s the 25th anniversary of the release this summer! I hope theaters re-release it. I really want to see it on the big screen for the first time. Like A Girl Named Rosa, this book was a fast read. I appreciated that Hillary was considered for this series, given her recent presidential campaign. Like Rosa’s book, I learned several new things about Hillary. Since her childhood, she’s always stood up for herself and tried to help others. I literally grew up watching Hillary as First Lady from 1993-2001. So, in a way, she has always been inspiring to me. I think this book can be just as inspiring to other girls, now, and in future generations. American Girl just started releasing their “A Girl Named” series, and I definitely wanted to get my hands on them! When A Girl Named Rosa arrived, I was a little dismayed. It was a very short book! I then realized that this series is clearly designed for much younger readers. However, I still wanted to read it! The book is beautifully illustrated, and is packed with facts and a good story. It’s like a mini-biography. I even learned a few new things! While initially disappointed, I really enjoyed this book. It was a quick read, and I imagined parents reading these books to their children at night before bed. Also, it’s a great history resource. It’s designed to be inspiring to young girls, which I can certainly appreciate. I learned about this book through my P.E.O. sisterhood. The author, Margaret Garrison, is the sister-in-law of one of my chapter sisters, Cathy W.
Since our chapter typically plans our programs about a year in advance, I knew I definitely wanted to be there when Margaret was discussing her book. I had my money ready, because I was pretty sure I was going to buy the book on the spot. She even signed all books that were sold! During her talk, she enveloped us in the often-mysterious world of college and university administration, having worked in the higher education arena for much of her adult life. She’s also a professor. Her book, although a work of fiction, combines several of her real-life experiences and passions. Although this book is Garrison’s first novel, you wouldn’t know it. It’s a hefty book, but a lovely and solid read! I love all the characters she created for the book, but Katherine Embright shines as the protagonist. She’s breaking new ground in the small university town of Hurley, North Carolina – She’s the chancellor of Wickfield University during the 1989-1990 academic year. You could say she’s breaking the proverbial glass ceiling. She’s tested multiple times throughout this watershed year – In her chancellor duties, her love life, and reacting to both current and world events. Reading Prez gave me impressive insight into the challenges that higher education officials and administrators go through. I laughed a lot, and definitely shed my share of tears, I found myself thinking back to my days at Longwood University, where I covered the Board of Visitors (BOV) for The Rotunda student newspaper for several years. Longwood had an impressive female president, Dr. Patricia Cormier, for nearly 15 years. She proudly served from 1996 through 2010. I thought of her life as I was reading about Katherine’s. Although it took me more than a month to finish the book, I can only think positive thoughts about this book. It’s a wonderful story, especially for it being the author’s first novel. The story certainly has its share of controversy – No spoilers. But, in spite of several characters’ transgressions, the book gives an incredible message of hope and faith, among other positive qualities. I highly recommend this book. It’s a feel-good love story. One that, at the time that I bought it, I didn’t know that I needed. The book came into my life at a time where, when I was more than halfway through it, my family was experiencing several losses – Three uncles passed away in a matter of two weeks. This book helped me renew my faith, and helped me recognize the true importance of family.